During last night’s episode of I’m A Celebrity…Get Me Out of Here! fans were convinced there had been some meddling going on during a bushtucker trial which could have revealed the parts of the show are in fact, set up. Viewers saw Rita Simons, James McVey and John Barrowman score an impressive 10 out of 11 stars as they faced their fears in a water-rafting challenge, however, some were a little confused by the outcome. It’s not just fans who are getting suspicious about the show being rigged though. A few days ago, ITV’s very own Lorraine believed that Nick Knowles was the viewer’s favourite to become the leader of the camp, but had been stitched up by the public vote as bosses wanted a different outcome. Lorraine who presents her own morning show on ITV each weekday presumed there’s fishy going on. Billy asked: ‘You think it’s set up?”, before Lorraine replied: ‘Yeah, just a little bit’. A source also went on to tell The Sun that producers may also be egging Nick on to get together with fellow campmate and Inbetweeners star, Emily Atack. ‘Producers think Nick and Emily getting together would make good telly,’ the source said. What were the concerns of a ‘fix’ in last night’s show? Fans were left gobsmacked when they saw three celebrities get out of the water in the middle of a bushtucker trial completely bone dry…but how? The team of three which was made up of Rita, John and James secured an impressive 10 out of 11 stars in the challenge, but viewers were more fascinated as to how they continued onto a zip-wire section of the trial without being even remotely damp after getting out of the water. “How are Rita, John and the other one so dry after “just” getting our of the river #ImACeleb.” one confused viewer questioned. “Just been wading in the water yet they are bone dry at next section. Should be wetter than an otters belly but as dry as virgin.” one hilariously quipped. Shaun Ryder was a campmate back in 2010 came runner-up to Stacey Soloman. 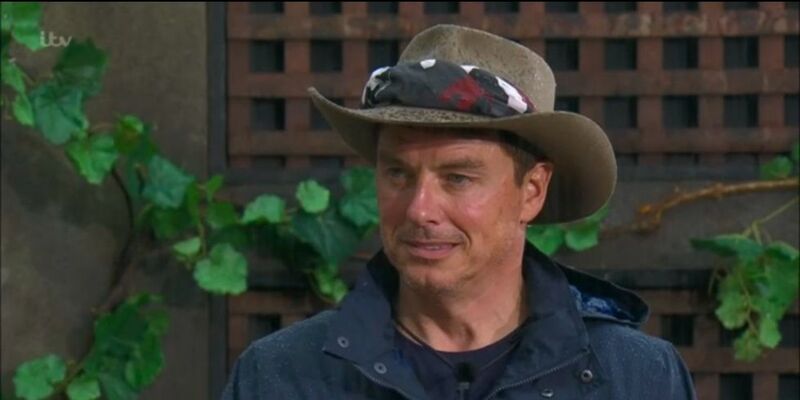 Despite lasting an impressive 21 days in the jungle, the star admitted back in 2016 that producers had the intention of crowning Stacey as ‘Queen of the Jungle’ from the very start and he had no chance of winning. “As far as I am concerned the game was rigged.” he said. “I really do mean that. I was in a band and Stacey had a career. Basically, it was all mapped out for her to become a TV host which she then decided that she didn’t want to do. He then went on to tell The Sun that he was pushed to join the line-up despite having absolutely no intention to do so. So, where did Kiosk Keith disappear to? If you’ve been watching the show for many years, you’ve probably become familiarised with the legendary Kiosk Keith who makes an appearance when the celebrities take part in their daily Dingo Dollar challenge and trade in their winnings for food. However, this year, he has been absent from the show with no explanation to his whereabouts. Kiosk Keith who’s real name is Raymond Grant was actually sacked from his job back in January as he turned up work drunk and went on to make inappropriate moves on a female colleague. Although his removal from the show is understandable, it’s clear that faithful viewers are missing the original kiosk guy who has been replaced with a not so popular newbie name ‘Kiosk Kev’ – it just isn’t the same. Bosses may now be having a re-think about allowing Keith to appear on an episode of this year’s series to satisfy angered fans. “Raymond has spoken to producers on the show, though obviously there is no vacancy at the Outback Shack with Kev on the scene.” an insider said. “Instead, they’d like him to come back for a cameo role and are hoping to include him in one of the tasks this series, or as an intruder in camp.